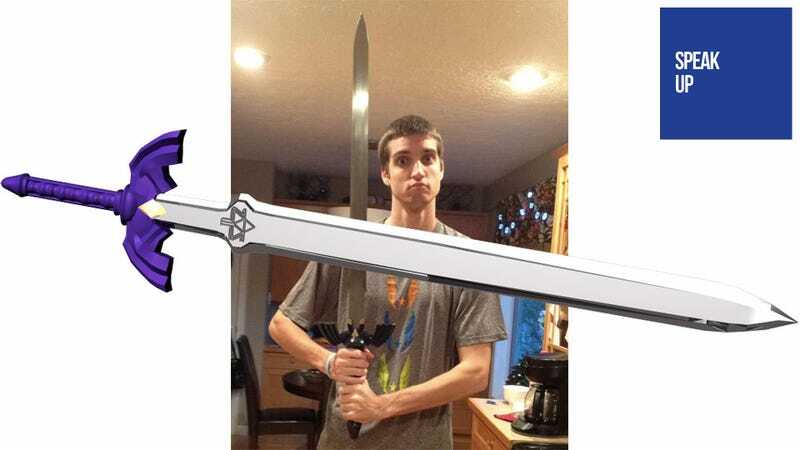 Commenter GiantBoyDetective poses here with the replica Master Sword he received for Christmas, a harbinger of dark times ahead in today's Speak Up on Kotaku. Merry Christmas (or whatever you celebrate) one and all! I had probably the best video game haul of my life this morning. A lot more than I was expecting. Oh and I got...a freaking replica of THE MASTER SWORD!